This guide is for website owners or webmasters that need to complete HubSpot’s SSL verification process so that they can provision an SSL certificate for your domain hosted on HubSpot. 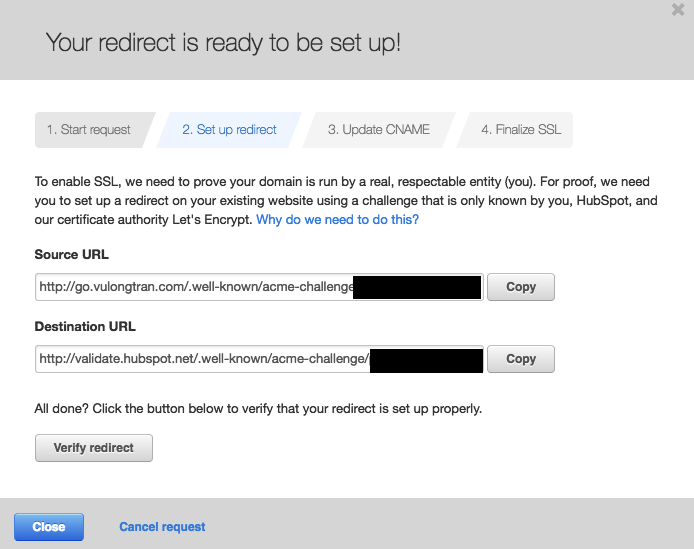 Log into HubSpot and request an SSL certificate for your domain. It’ll take a up to 72 hours for them to get back to you with one of their Let’s Encrypt “Validate your domain” emails. Set up your website onto Cloudflare’s Free plan. I have written a guide here if you need it. Get the Source URL and Destination URL details from HubSpot’s Domain Manager. 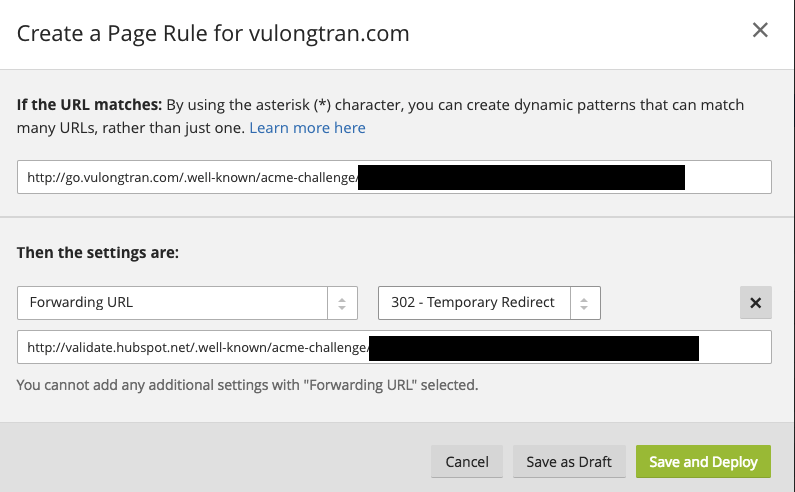 Add the redirect to Cloudflare in the Page Rules tab. Select the “Forward URL” option. You should get a success message and now you just wait and follow the next steps as per usual.